You are probably in this page to know who SirPhren is. My name is Obembe Sunday Dapo (a.k.a SirPhren). I am professionally a Registered Nurse and Passionately a Blogger and Website designer. I bagged my Registered Nurse certificate from Ekiti State University Teaching Hospital, school Of Nursing, Ado Ekiti, Ekiti State. I hailed from Ijesa-Isu Ekiti, Ikole Local Government, Ekiti State. I am presently in Akure, Ondo State, Nigeria where I practice my profession. When I started blogging, I made lots of mistakes which presently, am glad I did because they have helped me beyond imagination. Am just too stubborn to give up on things I love doing. 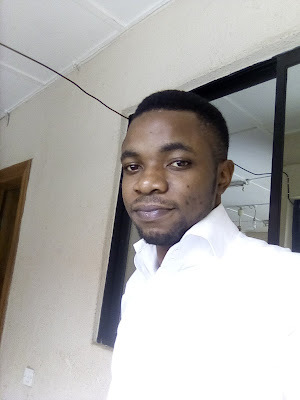 Apart from being a Nurse, Blogger and Web designer, I am also a motivational writer and blog tutor and I have a personal entertainment blog (Memo Naija). As a Nurse, I write on health topics on JUNAC Nursing Agency, Fellow Nurses Africa, JusAskNurse and Health Information Corner. I also design blogs, websites, and help format blog post to meet SEO requirements and so on. Check my HIRE ME page to learn more about my services. No one knows it all – and that is why I strive to know more everyday. I create this blog to share my knowledge and what have found helpful with others. I can help you take your blog to next level and I will joyfully do it. Just shoot me an email or ring me up. My personal mission is to become a Blog Scientist and help as many people as possible. Thanks for reading my blog. Hope to see you often.